If you are from an EU or EEA Country (or Switzerland), you can enjoy freedom of movement! That means that you don’t have any specific requirements to study in Austria. As long as you are authorized for a certain study in your home country, (university level entrance examination certification) you are also permitted the same study in Austria. In this step we try to give you a short overview of what you need to take care of when planning to study in Austria. Some universities / fields of study in Austria have open access for all students, some have additional entrance examinations (e.g. Sport, Art, Medicine, Psychology, Communication). Find more information about the different universities directly on the page of the university you intend to study at. 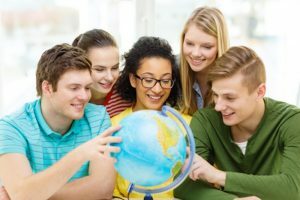 In Austria you may only study degree programmes that you would also be allowed to study in the country that issued your school leaving certificate/degree. A university accredited in the country where your school leaving certificate/degree was issued has to confirm that you have the right to begin this programme in this country (we call it “special university entrance qualification” or “admission statement”). 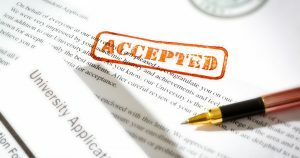 Applications for other programmes will be rejected if the required special university entrance qualification is missing. In Austria, German is the main language of instruction. For courses that are only taught in German you have to provide a language proficiency. This could be a certificate that German was a school subject in the school leaving certificate or other language certificates. If your German is not sufficient, the university can demand an examination of your German which you have to pass before you can start your studies. In order to pass this exam some universities offer preparation courses. If you are taking one of those courses you will be enrolled as “non-degree-program student” at the university. Alternatively some universities also offer courses or even complete study programs in other languages (mainly English). For those programs you don’t need to speak German. Complete study programs are mostly offered by private Universities.